Please view a small selection of projects and installations completed since 1994. Our products are all made from 100%, totally inert, post industrial, automobile standard polypropylene. We manufacture to ISO 9002 and QS 9000 in Melbourne, Australia. 800Kl underground water storage tank. Five interconnected tanks providing 168,000 litres of stormwater storage. 500 kilolitres of storage to store roof run off for re-use in toilet flushing, vehicle wash-down and irrigation. 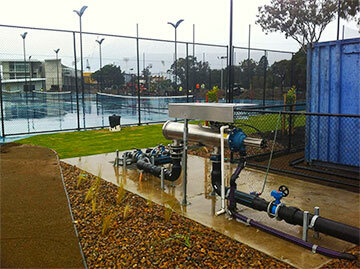 To harvest storm water run off from adjacent buildings for irrigation of sports fields. This 188 kilolitre system took only three days to install and is beneath a car park. This 1.7 megalitre system took just eight days to install and is the first of two tanks that will provide a total of 3.5 megalitres of storage for use as irrigation (since completed). An innovative drainage system beneath car parking areas to filter stormwater through Gravelpave2 (hard stand porous pavement also manufactured by Invisible Structures Pty Ltd) then channeled into a series of shallow soakage pits. Rainstore3 provided safe load bearing capacity beneath the car parking areas. On site water storage was required for fire fighting emergencies. 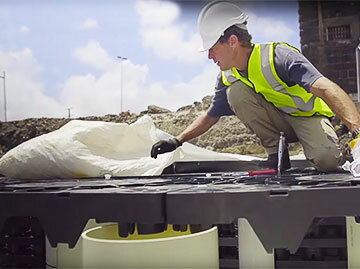 The Rainstore3 system was installed beneath a car parking area. 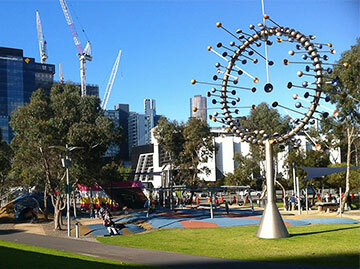 For the Melbourne City Council, this installation was designed for toilet flushing and market wash down was installed beneath adjacent roadway. Installed under the member's car park to provide irrigation for bowling greens, this system took only one day to install process ensured minimal disruption to club activities. For Geelong City Council, to provide detention capacity for a 1/100 year storm event. The first of two systems designed to provide general grounds irrigation. For Lascorp Development Group, this two level installation is a combined retention tank and surge control system installed beneath the supermarket car park. Designed for both detention and retention for on-site reuse, this installation took just two days to install ready for backfill and final surface finish. 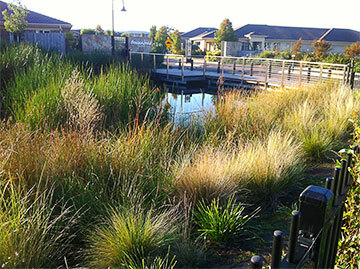 To meet Council's stormwater management regulations for Cowes Nursing Home. 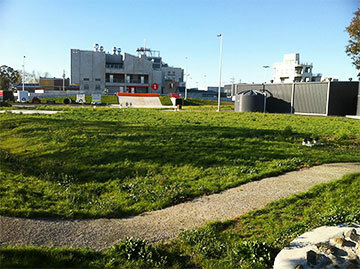 Storm water harvesting from adjacent buildings for recycling as irrigation. An unusual variation. Because the site is at sea level, a storage system could only be installed above ground but the landscaping designers required the tank be out of sight. The problem was solved by creating an artificial landscaped mound of earth within which was installed a Rainstore3 system to store 341,000 litres. Four workers with one small excavator took just six hours to install the 362m3 ready for enveloping and back filling. Three installations are expected to harvest 10 million litres of water annually. Two were installed for storage and one to manage storm surge. This project won an SIAV award. 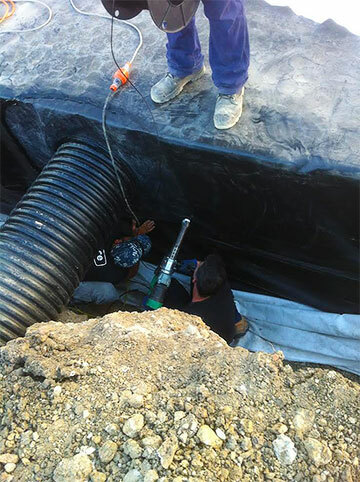 Rainstore3 offered a cost-effective solution to several sensitive issues. Council was concerned about ongoing maintenance costs and public liability issues of the Sedimentation Pond originally specified by Melbourne Water. Melbourne Water was concerned about run-off into the adjacent very sensitive (environmentally and politically) Merri Creek. By accepting our alternative solution, the developer, Pentridge Village Pty Ltd gained three additional building blocks, plus unencumbered additional recreation area and the marketing benefit of an innovative on-site stormwater treatment system. Pentridge Village Pty Ltd calculated they achieved a net gain of over $465,000.00! Plus, Melbourne Water achieved a greatly reduced environmental impact on the Merri Creek (than would have been achieved by the Sed Pond) in terms of suspended solids and nutrient release from the development. 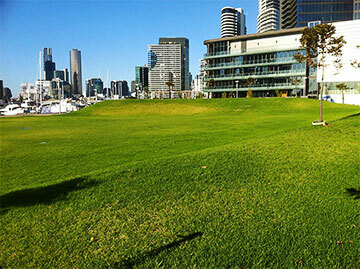 This was achieved by combining Rainstore3 with world-class, filtration systems (developed and produced in Melbourne by CDS Technologies Pty Ltd) and then utilising the filtered stored water for irrigation of surrounding parklands. 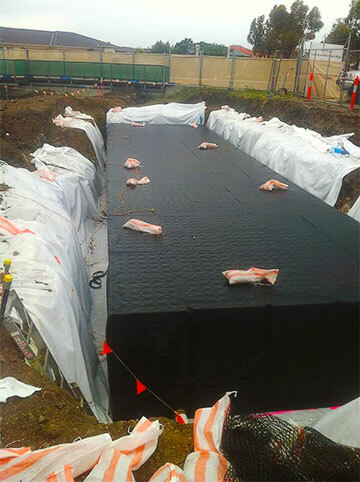 This installation won a Victorian Stormwater Industry Association innovation award for "Constructed WSUD in an established area".